The battery vampire plaguing certain iPhone 4S users will be staked by iOS5.1, the version just released to Apple developers as a beta. 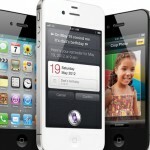 iOS 5.1 will run on iPhone 3GS, 4, 4S, the iPads and the most recent iPod Touches. Known as “Batterygate”, iPhone 4S users complained about the intense levels of power drain which their phones experienced. Fingers were pointed at Siri, the personal voice assistant for the iPhone 4S, as well as the inability for the A5 CPU and the various phone systems to play nice. Users can now enter any Apple ID to sign up for an iCloud account. Previously, users had to create a new MobileMe account. Shake-to-shuffle caused the Music app to freeze, this will be fixed. The Setup Assistant caused an “infinite setup loop” for some users. When the setup was completed, the iPhone would jump back to a “thank you” screen ad infinitum. Users had to reboot the device to restore functionality. SpringBoard, the home screen app for the iPhone would sometimes fall into a state when double-clicking the home button would not display the camera icon. This too will be fixed. For those lucky enough to own a developer account, the iOS 5.1 Beta 2 IPSW can be downloaded here.